Monty Python’s Spamalot: Back By Popular Re-Quest ( A Press Night & More!) - Triple Joys!!! Stage plays will always have a special place in my heart. I'll let you in on a little secret. Back in college, I was once a part of a theater guild myself. I was part of Artistang Artlets - the theater guild of UST's College of Arts & Letters! And although I didn't really acted much on the stage since I am almost always part of the production design (I am always behind the stage! ), I will always have very high regard to stage actors since I have witness the hardship and the discipline that is expected of all the theater actors. And with the popularity of different entertainment and social media platforms, stage plays have somehow lost the spotlight. 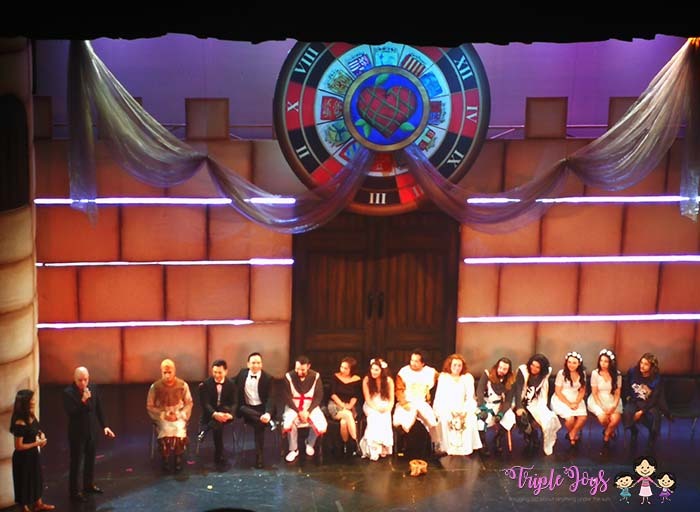 I am just glad that there are still people in this industry who remained positive and continued to produce quality plays to encourage its target markets to try and experience the magic and the entertainment that theater plays provide its audience. Upstart Productions, Inc. is one of the companies who remained steadfast in producing quality plays in our country. 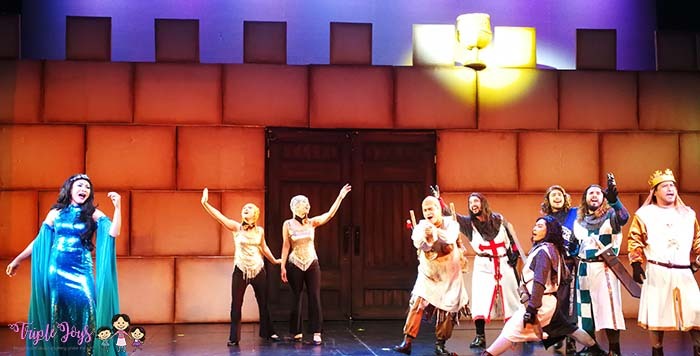 Composing of artists who are very much dedicated in coming up with original, creative and engaging material, Upstart Productions, Inc. once again brought back the world's most infamous comedy musicals - Monty Phyton's SPAMALOT to the Philippine stage! Last Thursday, April 12, 2018, I was so happy to be invited to the Press Night of Monty Phyton's Spamalot. Held at the Globe Auditorium, Maybank Performing Arts Theater, BGC Arts Center, the event was graced by some celebrities, representatives from different media platforms and some VIPs. And true to ABS-CBN New's commentary last year, we were all once again treated to " a rollicking good time" as we all can't stop giggling and laughing all throughout the show! I really love how alive and energetic each character appeared on the stage. I never really imagined Ms. Carla Guevarra-Laforteza to be that fun and hilarious! After the show, I was really intrigued and excited on how the other female lead, Ms. Rachel Alejandro, will portray the very same character as the The Lady of the Lake as I am quite sure that she will somehow have a different attack on the character! Am really keeping my fingers crossed for me to once again have an opportunity to watch Spamalot, this time with Ms. Alejandro as the female lead. Directed once again by the talented duo - Mr. Joel Trinidad and Nicky Triviño, Monty Phyton's Spamalot will have a ten-show run on Fridays, Saturdays and Sundays from April 13 to 22, 2018 at the state-of-the-art Globe Auditorium, Maybank Performing Arts Theater at the BGC Arts Center. The cast of Monty Phyton's Spamalot during the question and answer portion at the end of the performance. Laughter is still the best medicine. So, what are you waiting for? Reserve a seat now and do not miss on this chance to give yourself the chance to relax, laugh and be healed!